Here another story on topic of pursuing initiatives of moving away from BEx and trying to replace it by another reporting tool from BusinessObjects portfolio. Zero suppression is already known to BW developers from BEx Query Designer. Here you can set up this feature for particular key figure. However in WebI this feature is working differently. In BEx it is defined in the axis but in Webi it can be set for rows. Therefore it could let to collision. This is resolved in SAP BusinessObjects Business Intelligence platform 4.0 as of Feature Pack 3 where it can be set up similarly to the BEx. Notice that these settings are available in menu of Format Table or Format Chart pop-ups. As BEx tools are slowly being faded out exploring new reporting tools from e.g. BusinessObjects portfolio becomes important. It is clear that BEx won’t go away within big bang approach. Organizations are moving towards other reporting tools slowly. One of approaches is to leverage existing BEx portfolio that was developed within companies for years. One of leveraging techniques is to base BusinessObjects reports on top of existing BEx queries. If you do so you may face difficulties using BEx features within particular BusinessObjects tools. One of examples is how to tackle with scaling factor set in BEx in WebI. The scaling factor is popular feature via witch you can influence of how numbers in reports are displayed. You can reuse such a queries having the scaling factor set in WebI as well. Till WebI version contained in SAP BusinessObjects Business Intelligence platform 4.0 you can simply display such a KPIs set in BEq in Webi. As of Feature Pack 3 for same platform version there are more possibilities available to work with scaled measures. In fact you can use the scaling factor attribute to determine the scaling value, to calculate unscaled value and so on. On SCN there is a tutorial available which explains how to create the BEx query using a scaled measure and how to use the same to get the unscaled value. Here’s another post from series how to document BW projects. Other posts were dedicated to queries and transformations. However you won’t see here any assignments of objects. But for this you can hit F1 key on corresponding transformation. In case of multiproviders situation is different. 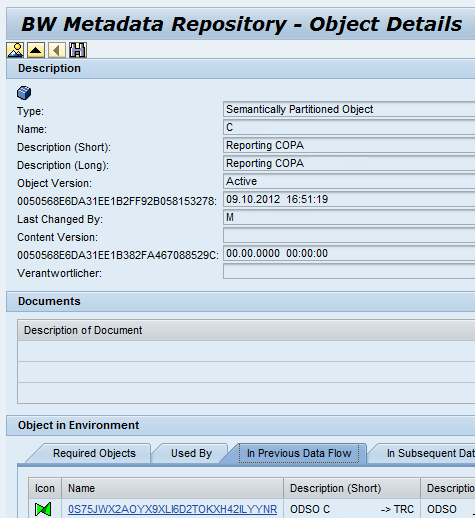 It is because there is no assignment of infoobject from underlying cubes provided in BW metadata repository. One possibility I found is to use FM BAPI_MPRO_GETDETAIL. This FM is documenting multiprovider mappings. You will get nice overview of all dimensions/infoobjects of that multiprovider. Basically what I smost important here is table PARTINFOOBJECTSIDENT where all the assigment of IOs from particlar cubes are happening. Here I’m providing (so far) short list of TAs related to HANA. I’m sure that there are plenty of others; these are just what I came across so far. SE16H – For purposes of access data from SAP HANA database directly from the ERP system. Also to display this data in the ERP system. In this way you do not need SAP HANA Studio. In this TA you can also make sure that table from where the data is provisioned ot HANA are properly replicated into HANA. As SE16H works with SE16N you need some more SAP notes to be implemented, see SAP Note 1636416. SETHANA_ACTIVATOR - Activation of HANA set hierarchies, by this you can replicate your hierarchies from ECC application to HANA DB. See SAP Note 1658252. 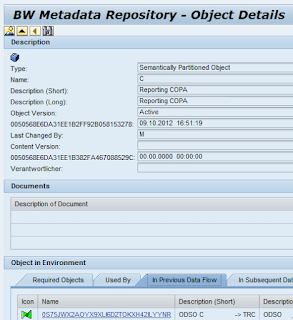 RSDD_HM_PUBLISH – Allows publishing of SAP HANA Models (Analytic and Calculation views) built in HAVA e.g. to BW’s environment. Simplified process: selecting HANA model and accepting its fields (dimensions and measures) system generates the metadata in the form of Analytic Index. 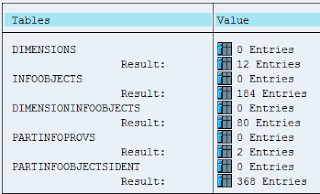 In TA RSDD_LTIP you can maintain the Analytic Index afterwards. RSMIGRHANADB - Conversion of BW infoproviders (e.g. so called classic infocubes, DSO and SPO objects) to In-Memory Optimized form. KEHC – customizing of CO-PA Accelerator in ECC system. KEIP – generation of CO-PA virtual infoprovider for CO-PA Accelerator. Why process chain gets triggered after transport? Having process chain’s start variant set to "Immediate start" may cause you troubles. Especially in case when you transport this PC to further system in your SAP BW landscape. By default system triggers such a PC and this causes its execution. Really such a PC is simply executed right after import of transport is finished in the target system. There are few possibilities how to prevent this. Starting with really silly solution: That would be to transport PCs w/o starting variant. But who would do that? I want all my PCs be runnable and consistent across whole system landscape. Other would be to schedule PC to some data/time which is really far in the future. Again; why I would bother myself with this if usually I had my PC tested to run in specific time. NO_TP_SCHEDULE_IMMEDIATE and to enable it must have a value X.
Parameter is available via SAP Note: 1233327 - Correction: Scheduling of immediate start for transport. To learn how to setup parameters in RSADMIN table click here.